Welcome guests to your home in style! 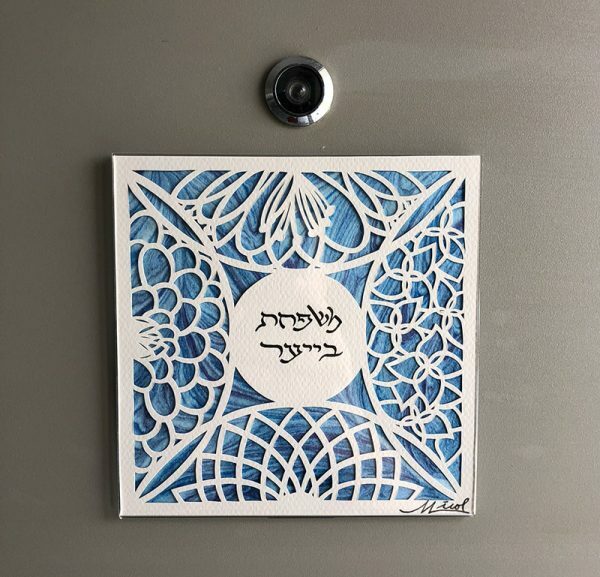 Customize this design with your family name in English or Hebrew. This door sign comes in two forms. Choose an acrylic frame with a magnetic back for a metal door or a frame that can be mounted to your door with a nail or strong double sided foam tape. 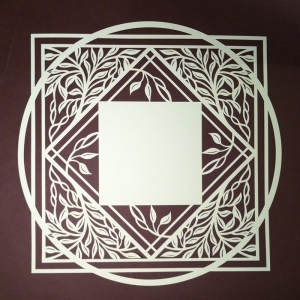 Size: 6″ square. 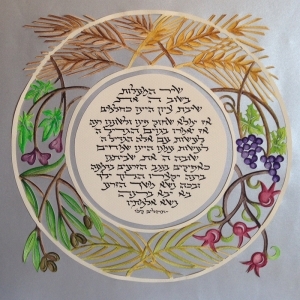 The design is inspired by Avraham and Sarah’s model of hospitality. 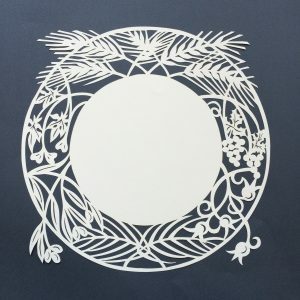 In this papercut, a stylized tent is open on all four sides to welcome guests from all over. Avraham welcomed his guests in the heat of the day. To symbolize this gracious hospitality, different flowers enter this tent from all four directions based on the type of sun exposure they thrive in. Bush Lilies, at the top, grow in Northern sun exposure, as do Hydrangeas in the East, Shasta Daisies in the south, and Dahlias in the West. 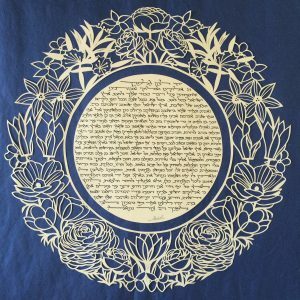 These flowers represent the Midrash that each guest brings his/her own beauty into the tent. May your guests bring beauty into your home as they enter and share in your model of hospitality as they leave.